A waiting list is a list of clients who are looking for an appointment but couldn't get one because the employee was too busy to serve them. Often, when a space becomes available in a business by a client canceling, the business will call people on the waiting list to see if they would like to come in now the space is free. If you imagine that every page in the appointment book has a second page hidden behind it (a bit like tracing paper), then it may help you visualise how they work. You use the second (waiting list) page to book appointments for people in the waiting list and if a space becomes available you move them from the waiting list page to the main appointment book page. If you have an appointment in the waiting list you will see the Waiting List button will have a number beside it saying how many people in total are in the waiting list for that day (each day can have its own list). There is also a flashing icon to let you know. To see if you specifically have anyone in your column, there will be a number (EG: (2)) next to the date at the top of your column letting you know how many people you have waiting in your column in the waiting list. Enter the waiting list by choosing the Waiting List button. You don't need to delete an appointment from the waiting list if the space never became available. 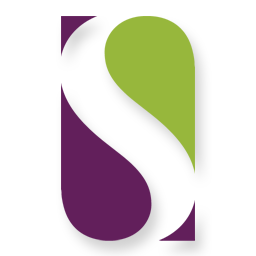 Salon Swift treats the waiting list as "maybe appointments" and doesn't require they are taken to POS or cancelled. They can just be left there if the space never became free.